The detention time is the time it takes for the wastewater to pass thru all of the plant treatment processes. The detention time varies with the plant flow. An average flow of 20 million gallons per day (MGD) will take approximately 20 hours to pass through the various processes and discharge into Lake Michigan. What is the plant capacity? The Racine Wastewater Utility hydraulic capacity is an Average Daily Flow of 36 MGD, Peak Hourly Flow of 108 MGD, and a wet weather optimization process flow of 308 MGD. Who runs the Wastewater treatment plant? 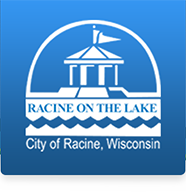 Highly trained, experienced, State-certified plant operators employed by the Racine Wastewater Utility are on duty seven days a week to oversee treatment plant processes and to respond to any unusual condition or circumstance. Many of the treatment process controls are highly automated requiring a great deal of technical expertise. Other processes require manual controls which rely on the operator's physical presence to observe conditions and make adjustments. Operators are carefully monitoring every aspect of the facility. Per Wisconsin state code, wastewater treatment plants are assigned a basic or advanced classification rating. Subclasses are also assigned to wastewater treatment plants that correspond to the processes used at the plant. Each plant must have a designated operator-in-charge certified at the plant class level and in the same subclasses as the processes used at the plant. Solids Separation B Solids Separation Clarifiers, membranes, filters, tertiary phosphorus removal, etc. On-site instrumentation provides information and records data on wastewater quality around the clock. Information is collected and stored automatically in a database for evaluation by plant staff. Samples are collected and analyzed by certified laboratory technicians in an on-site State-certified laboratory. No - While the final effluent water discharged from the treatment plant is safe to recycle back to the environment, it is not treated to meet drinking water standards. It is, however, treated to stringent limits to meet environmental quality standards. What are pumping stations for? The neighborhood collection systems are mainly "gravity driven" - where water flows downhill from household sewer laterals into street sewer pipes called sewer mains. The wastewater is then collected at area lift stations where it is pumped up into a system where gravity mains drain to the wastewater treatment plant through larger pipes called sewer interceptors. Storm rain water has its own network of pipes called storm sewers that discharge directly into Lake Michigan or Root River and is not treated at the wastewater treatment plant. How much methane gas is generated? Methane gas production also varies with the concentration of the organic waste and the total amount of gallons of sludge pumped to the digesters per day. On average, 46,000 gallons of sludge are pumped every day to the digesters and the methane gas production averages 200,000 cubic feet per day. Is it okay to dump grease down my house drains? No, dumping grease down your house drains will cause grease buildup in your lateral drain pipe. Some people believe that if you mix hot water with the grease it will not clog your lines. While this practice may not clog the lines in your immediate house, by the time the grease gets to your lateral it will have cooled enough to build up in your lateral or in the sewer main. Keep in mind, you are responsible for the maintenance of your lateral and calling out a plumber for this type of maintenance can be very expensive. Can household “graywater’ be used to water the lawn or plants? No. A discharge of wastewater is prohibited to the land surface from a dwelling, establishment, building sewer, or onsite wastewater treatment system without DNR approval. Wastewater means liquid and water borne wastes from a dwelling or establishment. Wastewater includes both blackwater and graywater. Graywater is defined as domestic waste, excluding black water, and including bath, lavatory, laundry and sink waste, except kitchen sink waste. How many gallons of wastewater do you treat in a day? On average, the Utility treats about twenty million gallons per day.